High winds are common in Ocean City. Unsecured items turn into dangerous flying objects. Take them in or tie them down. During hurricane and northeast seasons, you should consider taping your glass in the shape of a large X. Taping your glass does not ensure glass from breaking, but does ensure, glass from breaking into a thousand pieces. Spring and Fall are the best times to check your heating, air conditioning and ventilation unit. Make sure you or your servicepersons clean out the condensate lines. Many unit leaks are caused by an upper clogged condensate line. Your smoke detector must be hard wired into the electrical system of your unit and is the first line of defense in a fire. As the property ages, more and more leaks develop from plumbing fixtures and appliances, which cause a lot of unnecessary anguish between neighbors. Turn off the water during extended absences longer than a weekend. Also, set your thermostat to 45 degrees F. during the winter, so that your pipes don’t freeze and burst. If you rent your unit, consider installing a deadbolt on your front door. Don’t give the deadbolt key to the rental agency or your rental customers. When the rental season is over, lock your deadbolt. Contact the police department for other ideas. To improve the appearance of your building please leave your exterior premises neat and tidy. There are laws about barbecuing in Ocean City, which can involve the Fire Marshall and Police. Hanging items such as towels and sheets over the railings and fences are prohibited. Loud unruly behavior may result in a visit by the police department. Most associations require parking permits, to ensure a parking space. Please display your parking permit in a visible area at all times. 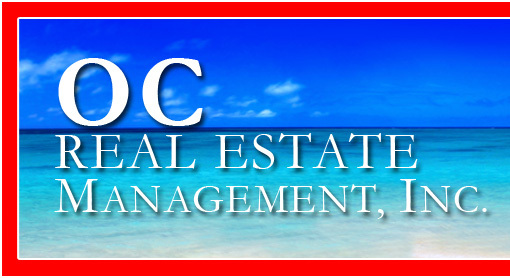 OC Real Estate Management is on 24 hour emergency call; free of charge! Emergencies are defined as follows water leaks, fire and safety matters, disturbing the peace, police matters, and weather emergencies. Talk to your bank about setting up “on-line banking”. Most banks are capable and willing to help you get started. 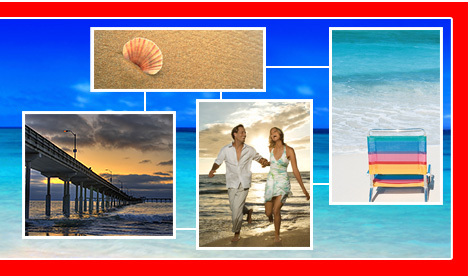 On-line banking will make it possible to pay your association fees fast and easy.